Rhino Entertainment, Warner Music Group’s renowned catalog label, has acquired the rights to the legendary catalogs of Jefferson Starship, Starship & Hot Tuna, effective immediately. 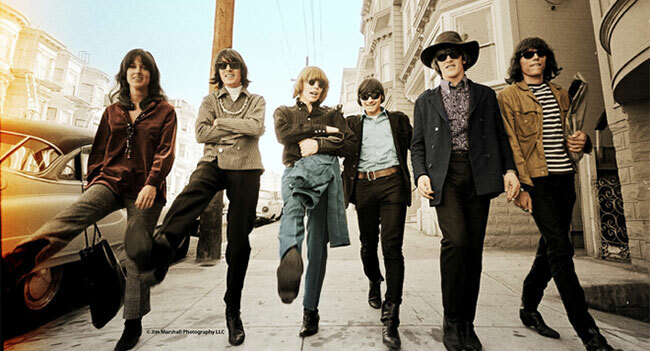 Also included in the deal are rights to a selection of Jefferson Airplane and Hot Tuna albums, solo albums by Grace Slick, and additional albums and Grunt label signings related to various other band members including Paul Kantner and David Freiberg. In 1972, Jefferson Airplane lineup took a break after releasing the band’s seventh studio album, Long John Silver. With the Airplane on hiatus, Casady and Kaukonen focused on their side project Hot Tuna. Playing with a revolving cast of musicians, they recorded five albums over five years, including the group’s 1972 studio debut, Burgers. In 1973, Slick recorded Manhole, the first of her four solo albums. That same year, she and Kantner formed Jefferson Starship with fellow Airplane alumni Freiberg, Papa John Creach, and John Barbata, as well as guitarist Craig Chaquico. Jefferson Airplane founding member Marty Balin also joined the band in 1975. Jefferson Starship released eight albums between 1974 and 1984. Each of them was certified gold or better and helped the band assemble a steady streak of classic hit singles such as “Count On Me,’ “Jane,” “Find Your Way Back, and “Miracles” from their 1975 double platinum No. 1 album Red Octopus. In 1985, the band shortened its name to Starship before Slick, Chaquico, Mickey Thomas, Pete Sears, and Donny Baldwin set off in a new musical direction. Over the next five years, Starship would record three albums, including the band’s 1985 debut, Knee Deep In The Hoopla. A massive hit, the album was certified platinum and features two iconic No. 1 singles “We Built This City” and “Sara.” Starship’s music continues to be embraced in the streaming age, with both “We Built This City” and “Nothing’s Gonna Stop Us Now” surpassing the 100 million stream mark on Spotify, a rare feat for 30-year-old songs.